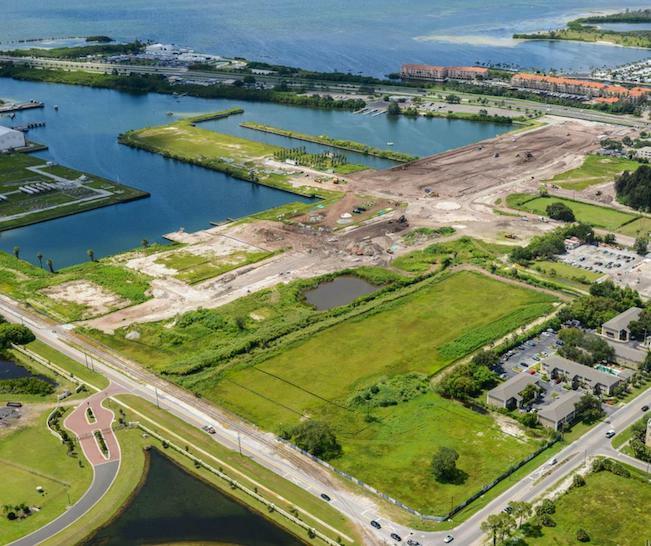 The Westshore Marina District is one of the most anticipated developments in all of Tampa Bay. Placing residents within easy distance of both downtown Tampa and St. Pete, the project successfully capitalizes on, and complements the small business renaissance along Gandy Boulevard. This new 52-acre master-planned community offers an array of distinctive residences, public spaces and new shopping, dining and recreational experiences along 1.5 miles of scenic shoreline. Walkability is key, and a system of bike/pedestrian trails and parks will ensure visitors and residents alike will be able to soak up the sun on the waterfront. These trails will all lead to a new full-service, deepwater marina with boat rentals, underwater fish attracting lights, lift slips, fuel dock, kayak/canoe/paddle board storage and more. The area’s luxury tower, Marina Pointe, recently released a rendering that adds depth and color to the massive development. The vision reveals lush green space, an active yacht basin, and new dining destinations for commuters between Tampa and St. Pete. Residents at Marina Pointe will enjoy club-style amenities and the premiere sunset views in the city. Residential opportunities range from luxurious marina-front tower residences with private club amenities to contemporary townhomes and stylish apartments. Westshore Marina District is ideally located in the heart of Tampa Bay at the intersection of Gandy Boulevard and Westshore Boulevard, major thoroughfares providing direct access to the vibrant nightlife, dining and culture of downtown Tampa just 6 miles east and downtown St. Pete 10 miles west. Learn more by visiting Westshore Marina District’s website and Facebook page.